Birds and other animals can sense slight changes in weather and the surrounding air pressure that humans cannot sense without the use of sophisticated equipment. 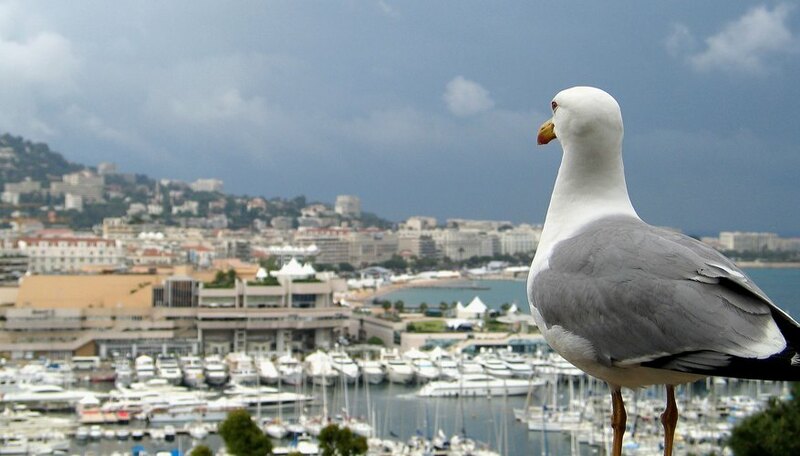 Seagulls in particular have been documented flying far inland in response to earthquakes, and sailors look to the gulls to predict changes in weather, including storms and heavy rains. Seagulls are sensitive to slight fluctuations in air and water pressure that occur before a storm, and thus they are able to adjust their flight and behavior to accommodate for any changes in weather. Seagulls are also sensitive to "infrasounds," or very low pulses of sound that humans cannot hear, and according to biologist Liz Von Muggenthaler, these infrasounds can precede earthquakes and large storms by as much as several days. Picking up on infrasonic pulses, seagulls around the world have flown inland a day or two before major earthquakes, sometimes as much as five kilometers, or several miles. While it may appear counterintuitive for seagulls to leave the ocean, Whit Gibbons, a University of Georgia ecologist, says this response is natural, as inland forests are safe havens for animals seeking higher ground away from the coast during any type of natural disaster. Changes in weather, such as big storms, are accompanied by drastic drops in air pressure. According to the Farmers' Almanac, seagulls will respond by flying low over the surface of the water and even staying grounded an hour or so before the storm hits. Gulls will also sometimes fly in tight, circular flocks to adjust their sense of balance and direction in response to slight air pressure changes. While seagulls' behavior may be useful in predicting weather, the U.S. Geological Survey maintains that "changes in animal behavior cannot be used to predict earthquakes." Despite this, the State Seismological Bureau of China has been collecting data on animal behavior in response to earthquakes since 1971 and has used this data in combination with geometric readings to evacuate several large cities prior to major earthquakes. PBS Nature: Can Animals Predict Disaster? Echolls, Taylor. "Seagull Behaviors In Earthquakes and Changes in Weather." Sciencing, https://sciencing.com/seagull-behaviors-earthquakes-changes-weather-23098.html. 16 April 2018.